The Singing Revolution from 1987 to 1991 was a nationale independence movement of the Baltic Republics. In 1990, the Museum Haus am Checkpoint Charlie from Berlin and its exhibition History of the Cold War was invited to Riga by some members of the parliament. 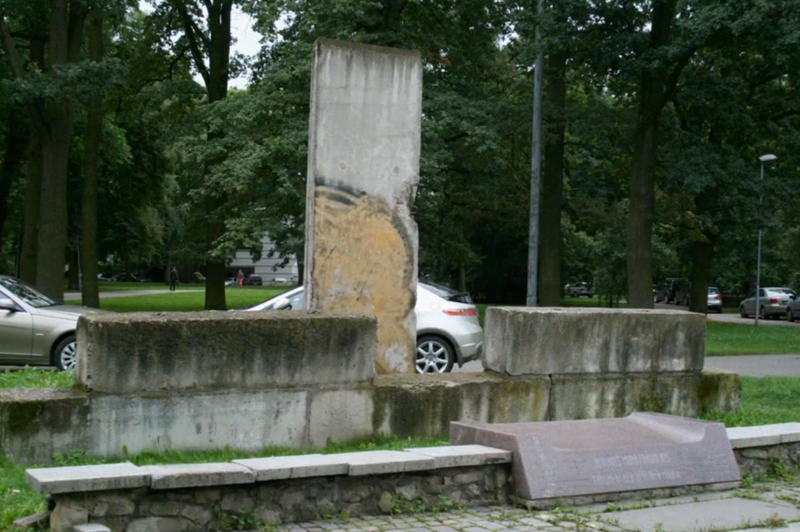 The segment of the Berlin Wall wich was brought along remained as present. Early 1991 bloody confrontations happened between the independence movement and Soviet troops: As more and more citizens demonstrated for their freedom, Moscow sent special forces to dam up the resistance. Not only in Riga fierce fighting inflamed, but freedom was the winner in the end. 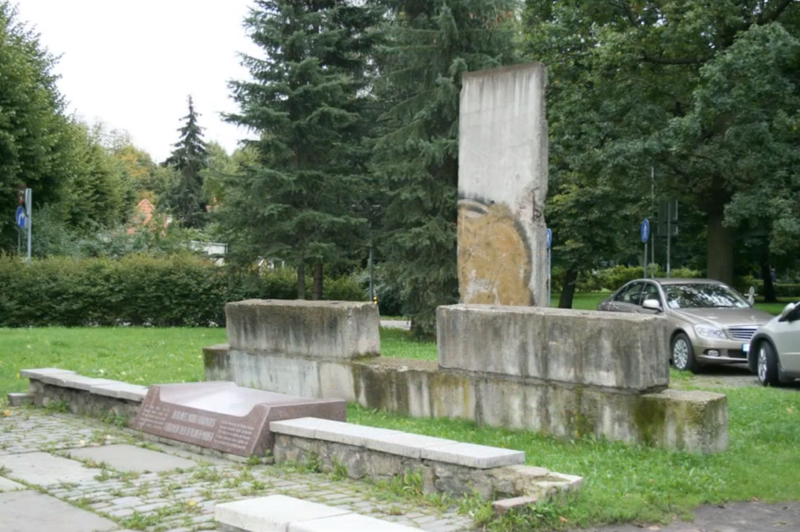 After independence was declared in the Park Kronvalda in 1991, a monument was erected to remind of the armed hostilities in front of the most hotly contested Parliament building. 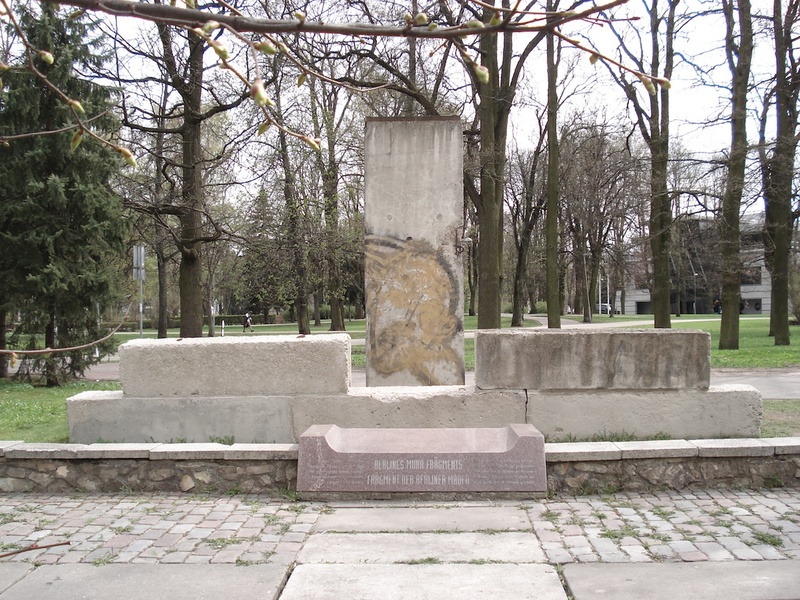 In 1992, the monument was completed with the Berlin Wall segment. Originally, this segment beared the letters LIN. Its corresponding segment with BER is in Moscow.